Videocassette: 1988, 4 commercials on 1 videocassette. The commercials were used during James McDermotts campaign for the 1988 U.S. congressional election in District 7 of Washington, Democratic Party. Papers: ca. 1940-2016, approximately 83.11 cubic feet . The papers of Jim McDermott include newsclippings, correspondence, campaign ephemera, speeches, reports, hearings, film, video tape, and audiotape related to his campaigns for governor and the Washington State Legislature, as well as his work in the Washington State House of Representatives and the Washington State Senate. 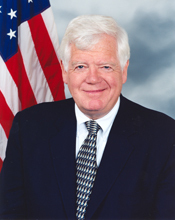 Also included are Jim McDermotts congressional papers and other historical materials related to his service in the U.S. House of Representatives from 1989-2016, such as writings, photographs, awards, etc. Includes media and photographs. A finding aid is available in the repository and online.